In my day to day at Excite Media, a lot of my time is spent working with client accounts and administration but I’m also lucky enough to take on some hands-on project work when it pops up around the office. Whether it’s general maintenance around the place or special projects like building the hanging herb garden in the courtyard, it’s good to get away from the desk and get my hands dirty from time to time. I also play a little ping pong when I get the chance, and it’s always fun beating Sholto. Always. For as long as I can remember, I’ve always liked to help others, especially those who are less fortunate. We tend to take so much for granted living in a country like Australia and I quickly came to realise that by helping others, you’re also helping yourself; it brings about a certain contentment which money can’t buy. Earlier in my career, during my travels to countries like Vanuatu & India and other parts of Asia & South America I realised that people can be genuinely happy with so little. Seeing this first hand I think helped to give me some perspective on things and perhaps even a healthier outlook on life. 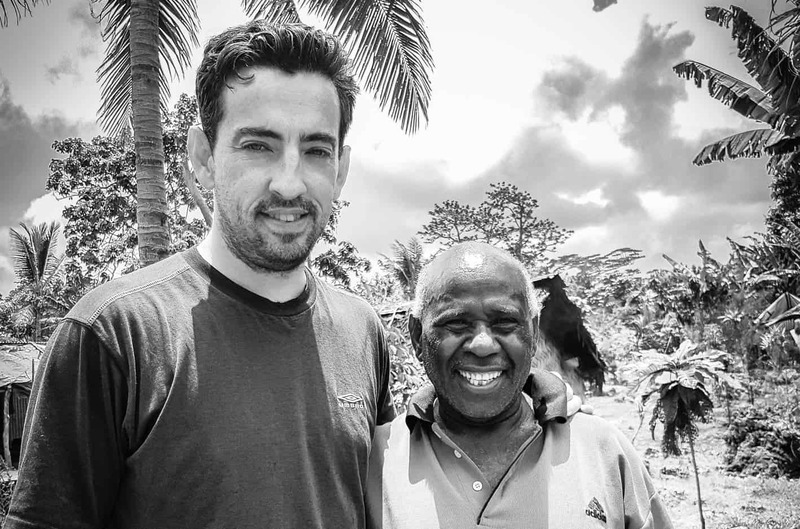 So when my church pastor asked me if I wanted to help him out with some locals in Vanuatu after a local had reached out to him, I jumped at the chance. Made up of about eighty islands that stretch over 1200 kilometers, Vanuatu is a true tropical paradise with incredible beaches and lots of friendly & humble people. We tend to take a lot of things for granted living in Australia. 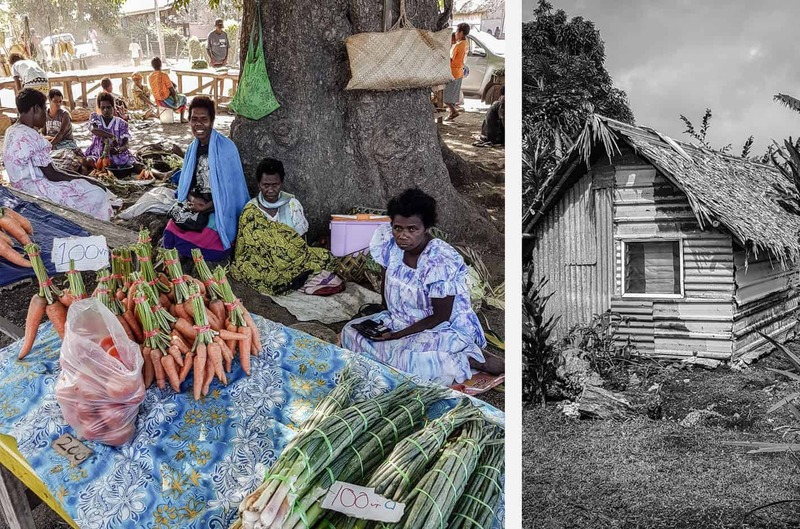 It’s amazing to me how the people of Vanuatu live happily with so little. They seem to understand that people are what makes life great and that strong relationships are what truly fulfils us as humans. The main focus of our trip was to help a small community on the ground, building some new structures and making it easier for them to access water on a daily basis. Our first project was to help the locals build a large timber framed structure on one of the rural properties to serve a meeting place for their church group. We also donated a generator and setup the entire space, completed with LED lighting, tables and bench seating. We also made it easier for a small community of about twelve families to access clean water by fundraising back in Australia to supply a 3,000 litre water tank they could use to store water. Previously, they had to walk quite a fair way down a steep slope to access water in a spring fed stream. It was quite a distance and a bit dangerous to boot! While being in Vanuatu was great, my trip was still lots of hard work. After a few days of getting stuck in and trying to be helpful it starts to dawn on you how strangely and deeply satisfying it is. It sort of creeps up on you that you feel more content and more balanced. As part of our ongoing efforts to help the people of Vanuatu more closely, we will be bringing three teenagers over to Brisbane in the near future to take part in a ten day youth camp. Through fundraising activities we’ll fund their passports, visas, flights and all expenses while they’re here. They’ll be sure to make some great new friends, have fun and maybe even go home and be more inspired to study hard and make good choices. I’ve already started work on getting them passports, visas and airfares. Thankfully we have a generous church community where raising the money won’t be too much of a problem. Stay tuned for the next update!